Organic toothpaste which is fluoride free and contains extra xylitol to assist with preventing and removing plaque and tooth decay. This formula contains silicic acid, enchinacea and propolis. Propolis to protect gums and oral cavities, echinacea to also defend gums while strengthening your teeth and sea salt to encourage teeth and gum health. Brush using this toothpaste on a regular basis to reduce plaque build up, enamel erosion and the production of teeth damaging acid. 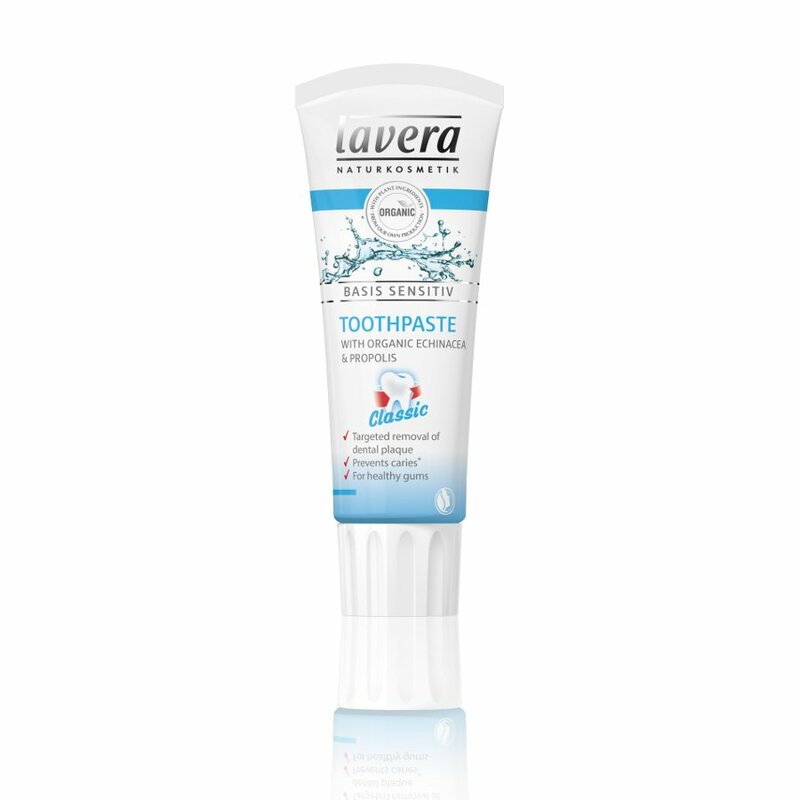 There are currently no questions to display about Lavera Toothpaste - Classic - 75ml.